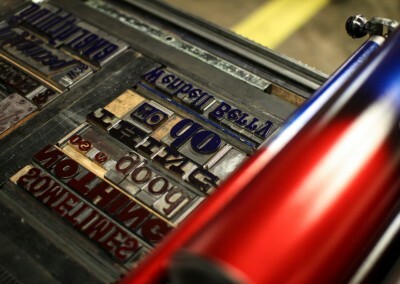 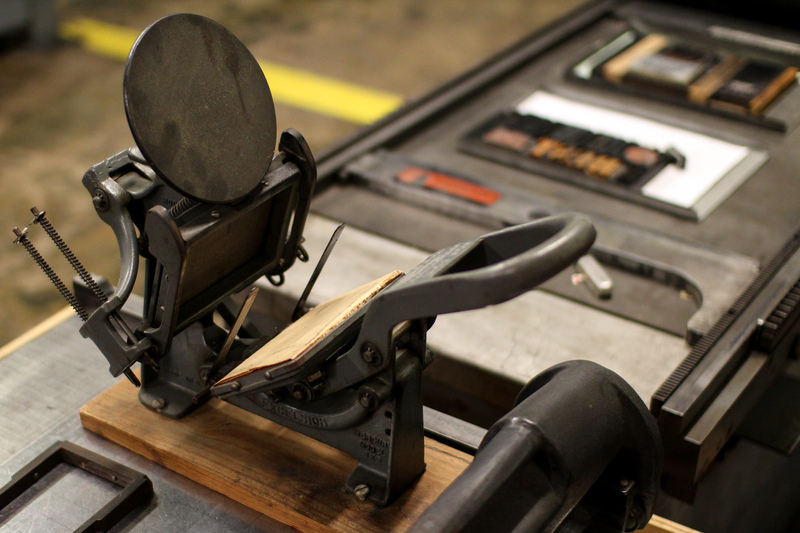 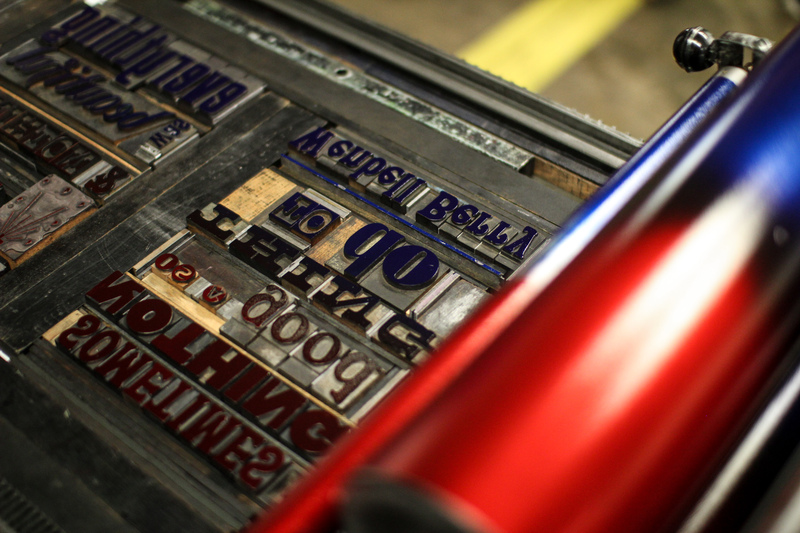 The Living Letter Press is back again! 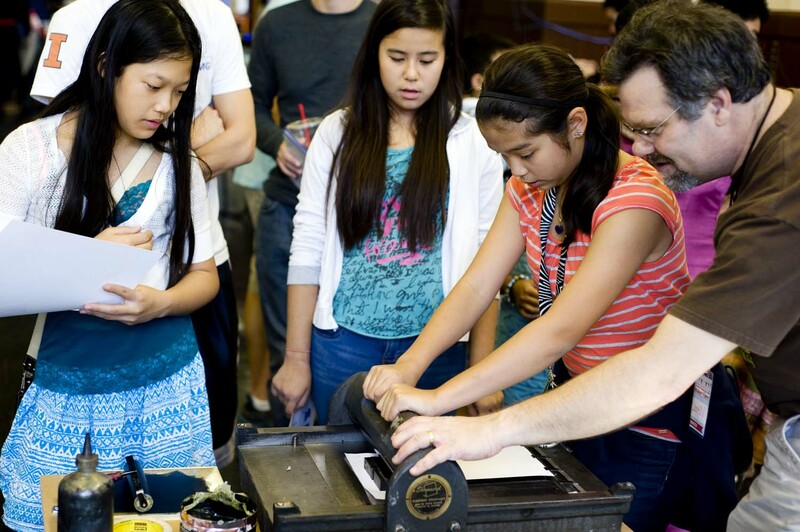 We’ve loved having them at our past events and seeing the creative cards and things they let people press. 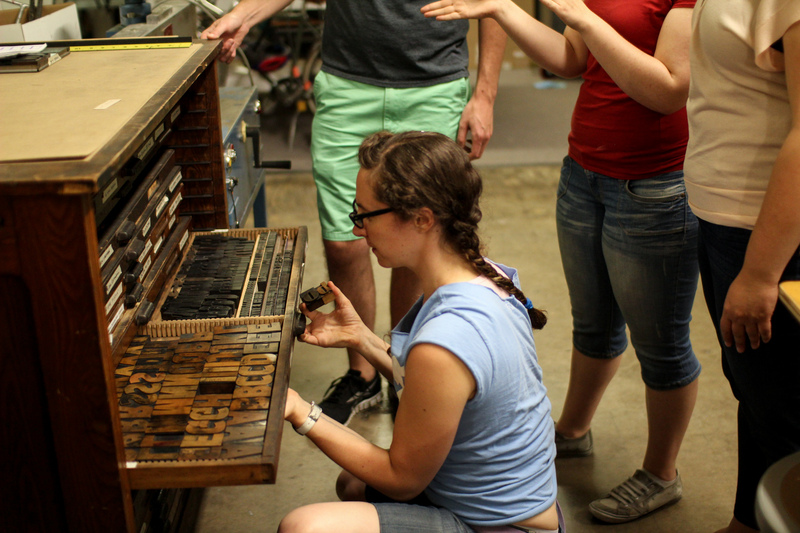 This year you can get more hands-on experience with a vintage tabletop letterpress, as well as experience a “virtual letterpress” with their iPad app, the LetterMpress. 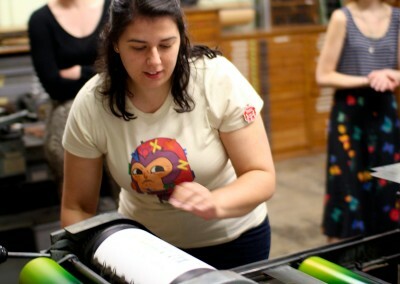 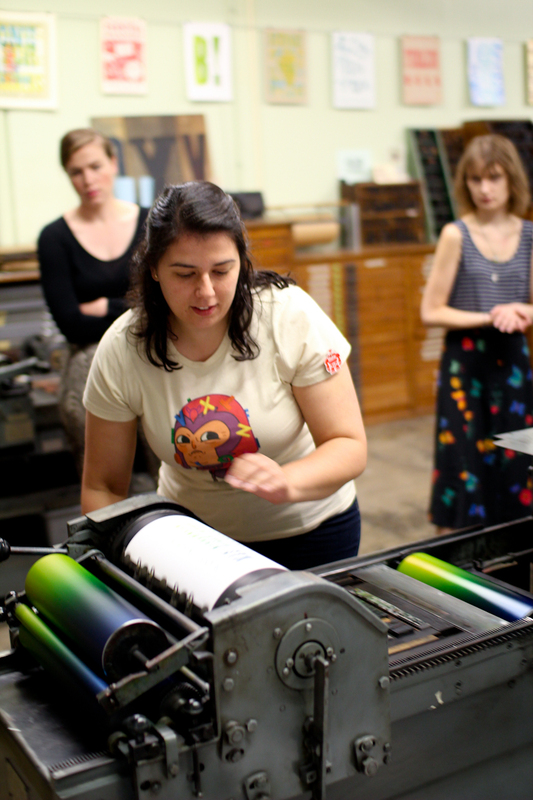 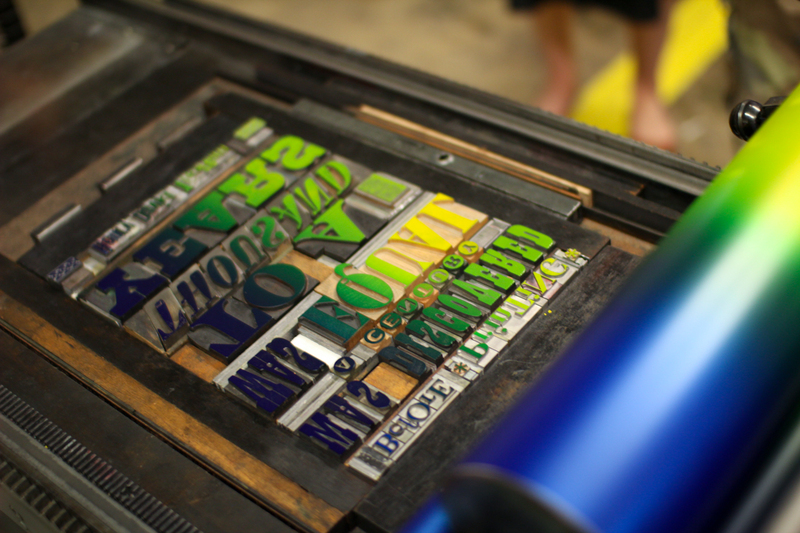 The Living Letter Press began as a Kickstarter project, and now they offer press rentals to designers and artists who wish to incorporate letterpress into their professional and personal work. 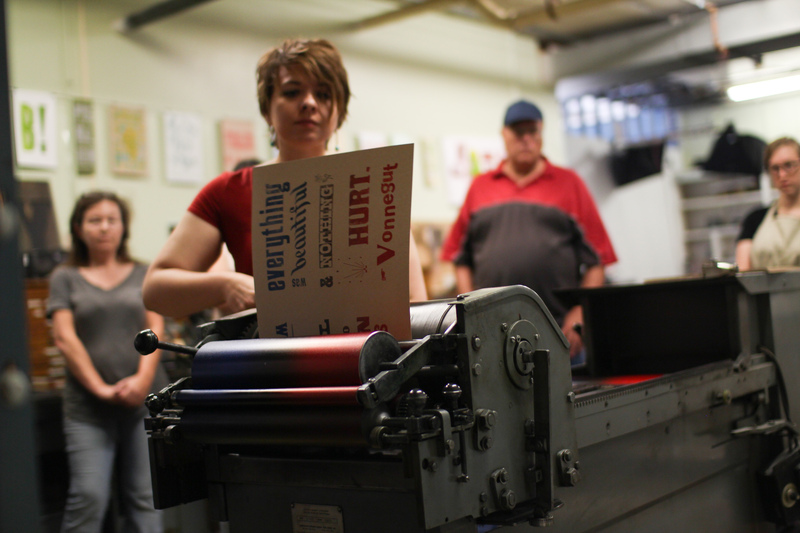 They provide commercial print service for everything from business cards to event posters and much more. 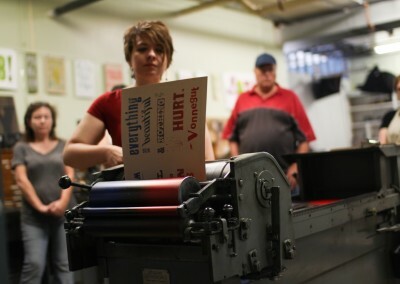 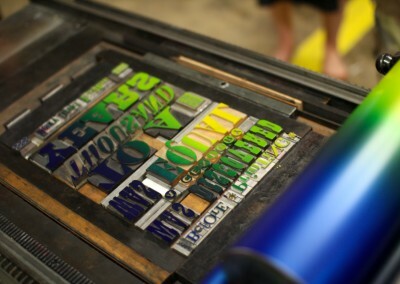 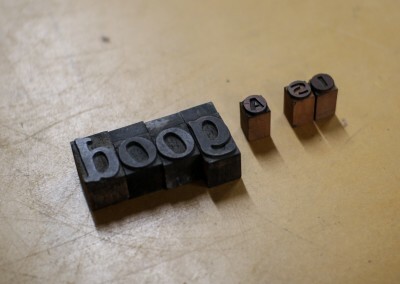 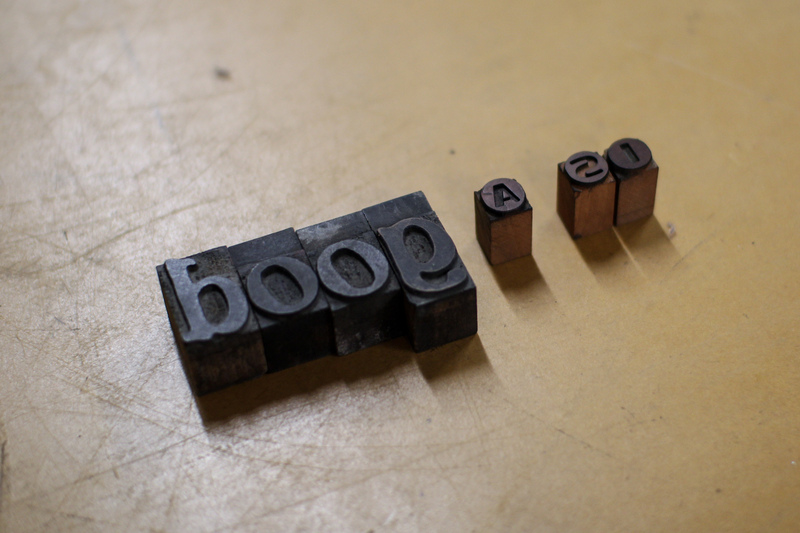 They also offer classes and workshops throughout the year, teaching people how to compose a design with their vast collection of wood type and art cuts. 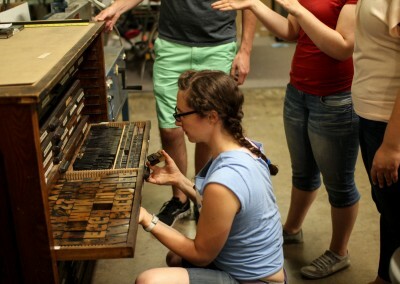 This is a unique opportunity to work with some of their large collection of vintage wood type to create unique messages!